Sign up for Broadjam today to follow Burn The Muse, and be notified when they upload new stuff or update their news! 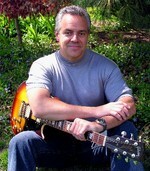 Bill Giakas, the founder of Burn The Muse, is a songwriter who has performed at rock and dance clubs in NJ and now lives in Illinois. Bill's music combines rock, pop, and country flavors into a unique style. Bill also writes for specific projects. He has two tracks in the Indie film, "Desert Cemetery", released in mid-2003 and one track in the Indie film, "Townies" released by Neo-Pangea in 2005. P.S. - As a Broadjam member you are also being offered a special promotion - buy a ticket to the event and we will add the A&R Listening Session for FREE! That's $150 in your pocket and 15 min. with a pro. Tell a friend and we will pass the deal onto them as well. Just email me your ticket purchase and I will take care of the rest.